Subh's playground for WordPress sports.. !! Zend Certified Engineer (PHP), WordPress Developer, Software Engineer. 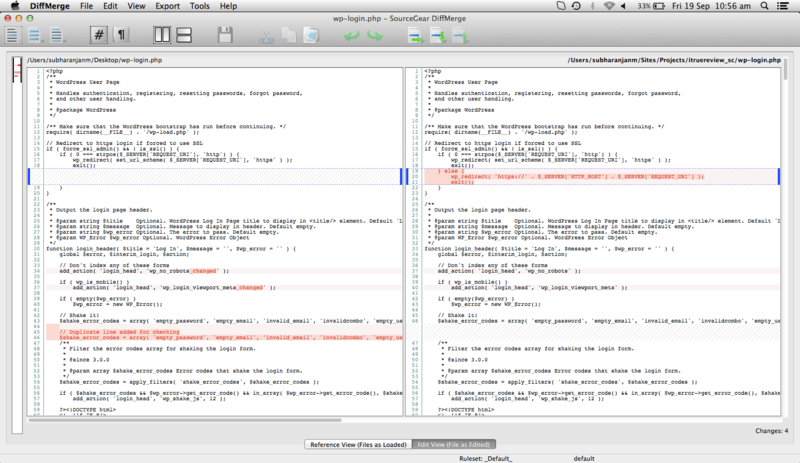 Which editor has support for file diff or file compare functionalities on Mac OS X ? Which is the best tool for file comparison while developing on Mac OS X ? How to use FileDiff package on Sublime Text editor ? 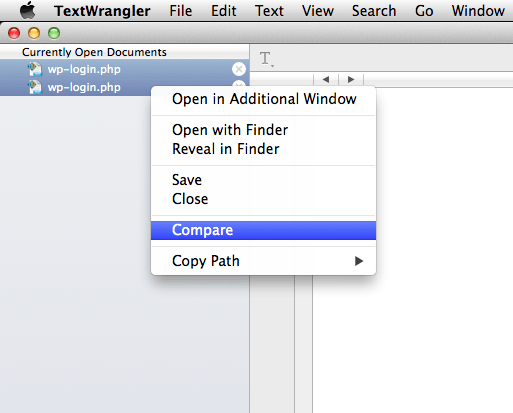 How to use File Compare functionality in Text Wrangler in mac OS X ? After developing 4 complete years on Windows, I have recently moved into a MacBook Air. During development, one thing I was missing was the “File Compare” plug-in on Notepad++ which I was using for a long time while on Windows. Even though NotePad++ doesn’t have a Mac version, there are some alternatives to that on Mac OS X. 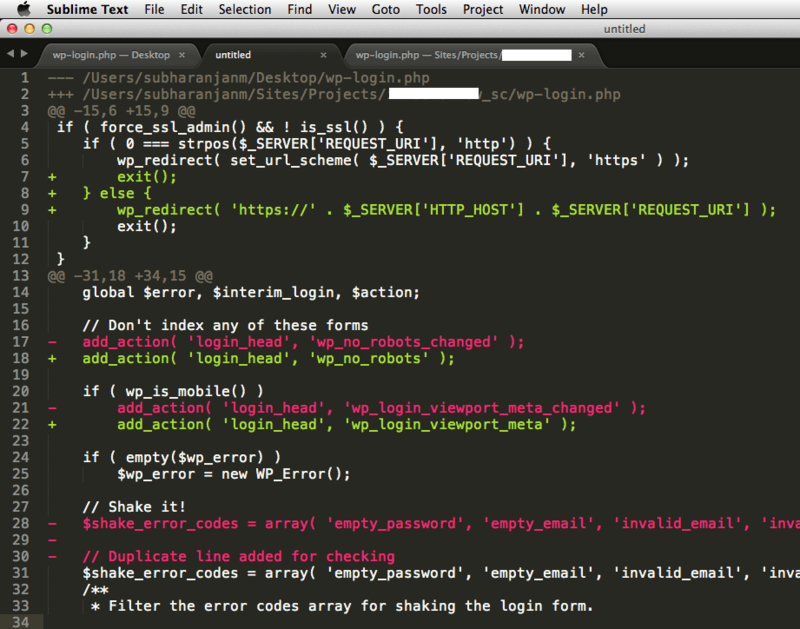 Two editors which I find very useful are Text Wrangler and Sublime Text 3. Open both the files on the TextWrangler editor. Did I mention, this is a free editor and best for editing text based files. Right click on the selected files and click on “Compare”. Now open the package installer and install “FileDiffs“. To diff. 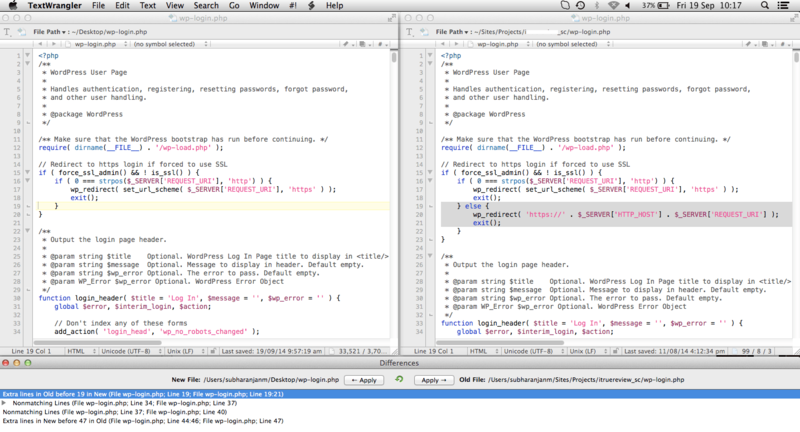 two files, open those two files in Sublime Text 3. Right click on that file tab and click on “Diff Tab”. Now you can use the diff. file generated (unified) to see changes between two files. The other day, I was searching for some ways to compare two files(one from production and another from the local development of the same file) in Sublime Text. I found that there is no default tool to compare two files, thats why I installed “FileDiffs“, a package which provides the above needed functionality. What this tool does is: it provides you a result file which contains unified differences from both the compared files with + (Plus) & – (Minus) symbols. Even though it serves the purpose, but for someone who has been using compare tools like WinMerge, or the color-full GUI in Notepad++ editor on Windows, the experience will be horrible. However a cool feature of this “FileDiffs” package is that, it can integrate with any external diff. tools through command line. So, I installed “DiffMerge“, an free application to visually compare and merge files. 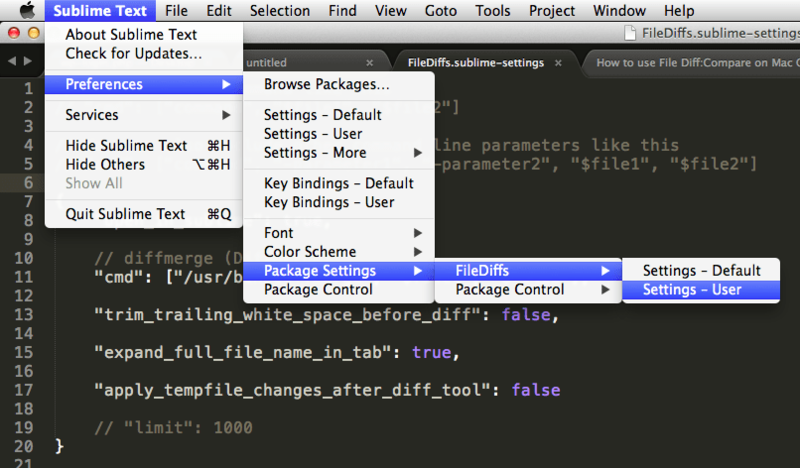 Below is the set of settings that integrates “DiffMerge” with “FileDiffs” on “Sublime Text 3”. How and where to apply these settings ? Copy & paste the above code in the FileDiffs.sublime-settings file. Update: “Compare Side-By-Side” package for Sublime Text can be used to side-by-side file comparison & difference in Sublime Text 2 / Sublime Text 3. This works great and easy to set up. How to setup PHP CodeSniffer on Windows machine ? Joseph on How to setup PHP CodeSniffer on Windows machine ? 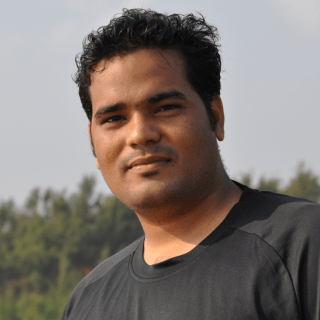 Shankar on How to setup PHP CodeSniffer on Windows machine ?